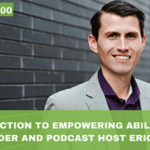 Welcome to the Empowering Ability Podcast and Community. 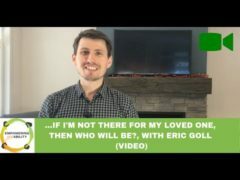 I’m Eric Goll, Podcast host and professional coach. My sister, Sarah, was born with a developmental disability that impacts her physically and cognitively. My sister and I have grown very close, and I’ve been her coach as she designed and is implementing the life she wants to live. 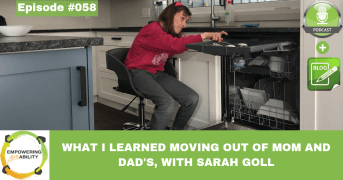 It has been amazing to watch Sarah grow as she charts her own course. 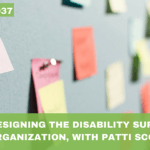 I’ve also been actively involved with other families and individuals with a disability since 2005, including being a member of support circles, and living with my roommate who has a physical disability. I have a deep experiential understanding of what life is like living with a disability. ……. and wow, it takes a lot of work! 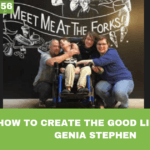 To help other families and individuals with a disability I am working to make this valuable word-of-mouth information more accessible to everyone. 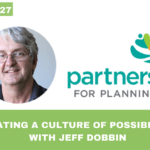 I’ve started the Empowering Ability Podcast, where every Tuesday I bring on a guest to discuss building a full and meaningful life in one of the topics mentioned above. 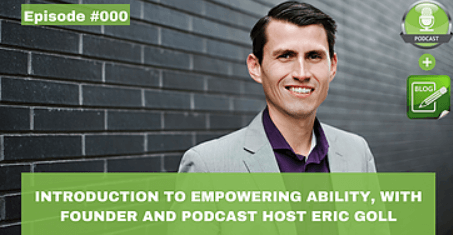 On March 22nd, 2017 the first 3 Podcast episodes go live on www.empoweringability.org.Please send me an email at eric@ericgoll.com if you have any podcast episode ideas or feedback. The podcast is available now on iTunes and Podbean (android) so that you can listen while on the go from your smartphone! 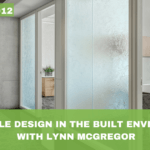 You can also listen to the Introduction Podcast right here!